Within a period of nine months, 30,000 Zambian households have gained access to energy for the first time. This was achieved through the collaborative efforts between renewable energy company, Fenix International and telecom firm MTN. Lyndsay Handler, CEO of Fenix International, commented: “This marks a great milestone for the entire Fenix Zambia team. ReadyPay Solar Power System is now providing power for clean, bright lights, phone charging, satellite TV and more to over 150,000 people in off-grid Zambian households. According to the renewable energy company, the success of this positioning means that it has been able to quickly reach customers in every province across the southern African country. Approximately 12 million Zambians live without access to the electrical grid, representing 75% of the total population. This rises to 95% of rural residents, with people living off-grid primarily relying on candles, kerosene, and batteries. After establishing a strong base in Uganda, Fenix expanded to Zambia in exclusive partnership with MTN Zambia, part of Africa’s largest telecom. 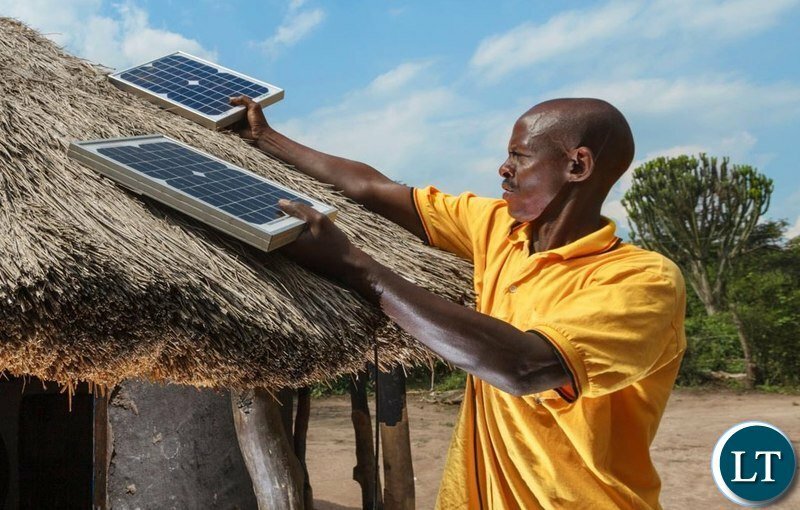 The energy company’s customers use MTN Mobile Money to finance their solar systems, whilst MTN’s brand and distribution network help Fenix to quickly scale across the country. Let’s develop this thing. Childish will NEVER be president. The solar power revolution will sort out the ZESCO quagmire to provide households with power en masse. Seems like the 30,000 is more than what ZESCO has connected to their tiny grid this year!! That’s what’s required. ..real competition. How I wish it was possible with water supply too.